Designed a set of salon quality nail stencils for use with Del Sol’s color-changing nail polish. Designed marketing materials to show how to use the stencils with Del Sol color-changing Nail Polish. 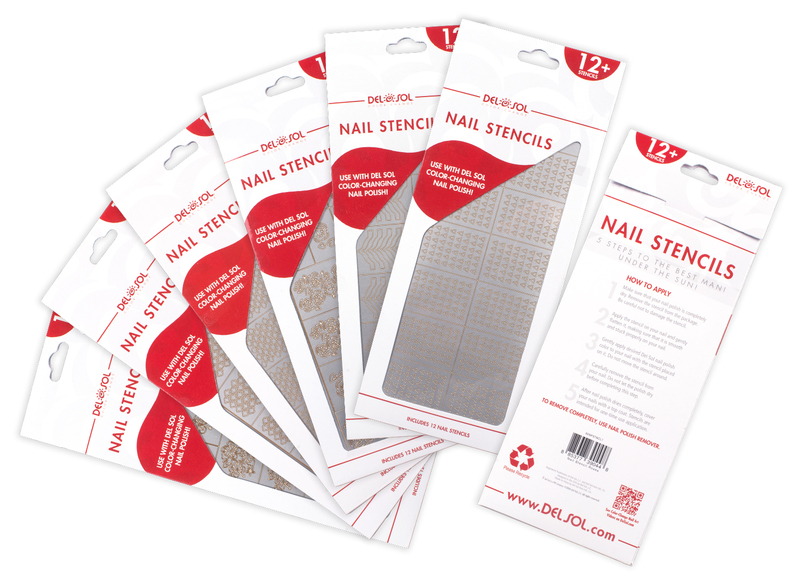 Worked with Product, Packaging and Store Design teams to create Salon Quality Nail Stencil designs to be used with Del Sol color-changing nail polish. Packaging designed universally to use with any of the stencil designs. Back of Package includes instructions on how to apply and use the stencils properly.